At face value, this card will please the full spectrum of boxing enthusiasts. On the one hand, John Molina, Jr. (28-6, 23 KO) versus Ruslan Provodnikov (25-4, 18 KO) would appear to be toe-to-toe, appealing to more casual followers of boxing. On the other hand, Demetrius Andrade (22-0, 15 KO) - Willie Nelson (25-2-1, 15 KO) are two very tall, lanky boxers. John Molina hates boxers with speed and movement; he is presented with an extraordinarily stationary Ruslan Provodnikov. 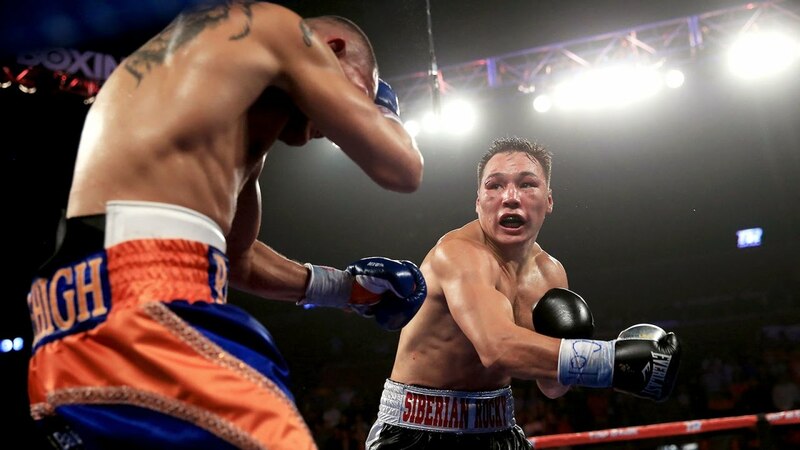 Rid of the nuisance of dealing with good boxers, Molina will try to out box Provodnikov rather than give and take. For as Provodnikov demonstrated against Matthysse, the only cause of knockout is death. After being battered for twelve rounds, Provodnikov wore out Matthysse and likely would have beaten him had they gone several more rounds. Molina, however, has shown fragility having been stopped twice. Molina is a middle-of-the-road kind of guy who will beat up the pretty boxers but cannot last against the most vicious punchers. Thus we will attempt to box Provodnikov as he tried with Matthysse. It would be a breeze to simply believe that Provodnikov would defeat Molina in a war of attrition…but he so damn slow on his feet that I reserve a prediction. Andrade was once a titlist at junior-middleweight, but was stripped due to inactivity from legal issues. He will not have to struggle to gain relevance, but he will starve to death trying to get at the top dog, which is Canelo Alvarez. Relevancy is just around the corner with matches against Erislandy Lara, Vanes Martirosyan, Jermell and Jermall Charlo. As long as he is, Willie Nelson seems to like hooking at a close distance. 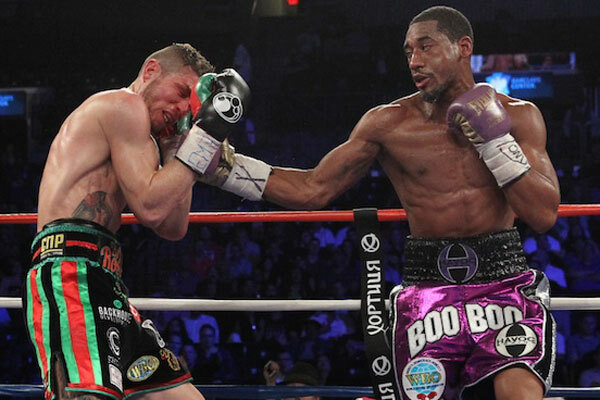 Andrade pushes and slaps with his jab at times throws a hard, fast straight left hand. In my opinion, it is the athleticism of Andrade that will carry him with Nelson. The card will begin airing at 9pm US Eastern on Showtime and 2am on Sky Sports 1.